CMG is a strategy consulting and advisory company focus on enabling smarter Cities, Enterprises, Utilities, Vendors, and Startups. We enable smarter solutions. We help define and accelerate the digitalization and transformation of our customers. Our Smart Solutions are built with our unique and proven Smart Design, Build, Run, and Optimize Frameworks. -For utilities, cities, and enterprises, these frameworks consist of proven strategies, processes, and best practices on how companies design, build, run, and optimize all elements of planning and operational execution. -For vendors and startups, these frameworks accelerate product innovation, go-to-market planning and commercialization. We are experts in Smart Cities, Energy, IoT, Telecommunications, Manufacturing, and Software markets and technologies. Our consulting services include the development of Strategy, Assessment, Design, Architecture, Road Map, Business Model, Business Case, Go-to-Market Plan, IT/OT Management, Funding, and M&A. The results of our involvement with every customer has proven over and over to Increase Value, Reduce Risk, Accelerate Adoption and Delight Customers. Strategy and Scenario Planning (SSP) Framework — The SSP Framework is a powerful methodology particularly useful in developing enterprise strategies to navigate extreme events like smart energy transformations. 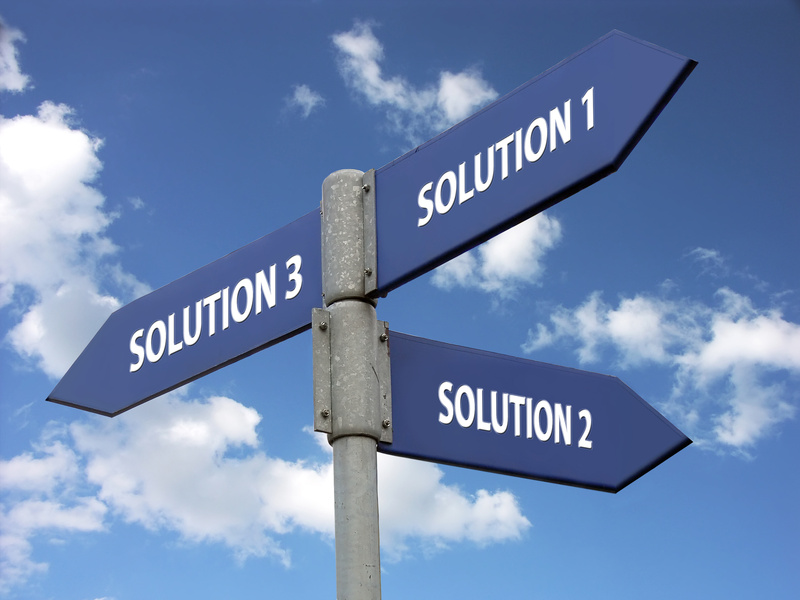 The process for this framework includes the selection of decisions needed, assumptions, drivers, brainstorming, solution seeking, blending, and mapping to decision-making. Go-To-Market Planning (GTMP) Framework — The GTMP Framework provides world-class best practices to manage complex and multi-level cross-functional teams from strategy, sales, marketing, product management, operations, customer service, and support to deliver fast results. This framework provides a clear direction and method for true collaboration and synergy to help accelerate execution speed and success. Business Optimization and Transformation (BOT) Framework – The BOT Framework delivers a proven step-by-step methodology to optimize and/or transform existing utility business processes to achieve superior customer satisfaction, operational productivity and profitability. 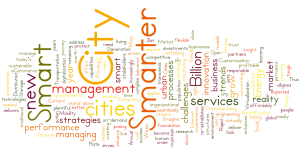 Smart City Roadmap (SCR) Framework — The SCR Framework delivers a world-class methodology and lessons learned to create a reality in which Smart Government, Smart Safety, Smart Education, Smart Healthcare, Smart Energy, Smart Water, Smart Waste, Smart Transportation, Smart Building, and Smart Home services are easily created and affordably maintained to enhance all City services and citizenship experiences year after year. Smart City Governance (SCG) Framework – The SCG Framework helps cities create and deliver a clear technology governance and alignment process to support the required transformation from selecting and deploying a smart city roadmap successfully. Without universal buy-in and a common perspective throughout the different city departments, no successful transformation will take place. Smart Grid Roadmap (SGR) Framework — The SGR Framework offers to utilities a world-class methodology for the assessment, benchmarking, design, architecture, and optimization steps for all stages of lifecycle management including pre-implementation, during implementation, and post implementation. Regulatory Design (RD) Framework — The RD Framework delivers a proven process with use cases, business models, business cases and regulatory filings needed to enable the regulatory transformation that leverages technology and allows for the modernization of energy distribution & data systems to benefit businesses & consumers. Smart Grid Governance (SGG) Framework – The SGG Framework helps utilities create and deliver a clear technology governance and alignment process to support the required transformation from selecting and deploying a smart grid roadmap successfully. Without universal buy-in and a common perspective throughout the enterprise, no successful transformation will take place. 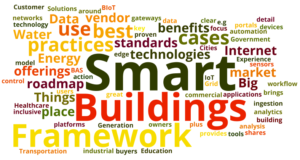 Smart Buildings (SB) Framework – The Smart Buildings Framework (inclusive of BAS and BIoT) provides a clear roadmap for building owners and technology buyers to the best practices, use cases, benefits, technologies, standards and vendor offerings (e.g. edge devices, sensors, gateways, networks, control platforms, analytics tools, portals and applications) in the market place. Smart Factory (SF) Framework – The Smart Factory Framework puts into practice our manufacturing and Industry 4.0 expertise for enterprises and help define the use cases, benefits, technologies, standards and vendor offerings to digitize factories across many industries successfully. Big Data (BD) Framework – The Big Data Framework shares great detail of the key Artificial Intelligence and Machine Learning use cases in Smart Grid, Energy Generation, Smart Buildings, Smart Cities, Smart Water, and Customer Experience Solutions plus the best practices around data ingestion, automation, integration, analysis, workflow and action. Blockchain Energy (BE) Framework – The Blockchain Energy Framework delivers the answers to use cases, technologies, vendors, business models, business cases, policy regulations and models, and best practices for Transactive Energy Solutions, Peer-To-Peer Energy Solutions, Community Energy Solutions, Mobility Energy Solutions, and others. CMG Blockchain Energy Framework leverages CMG Virtual Power Plant Framework, CMG Distributed Energy & Microgrid Framework, and CMG Smart Grid Roadmap Framework. Telecom and Internet of Things (IoT) Framework – The Telecom and Internet of Things Framework brings a proven roadmap model to commercial and industrial users of the best practices, use cases, benefits, technologies, standards and vendor offerings in the market place with focus on Government, Energy, Water, Transportation, Healthcare, Education, and Buildings. Cloud Computing (CC) Framework – The CMG Cloud focus is on the roadmap of transformation from Packaged Software to Infrastructure-as-a-Service (IaaS) to Platform-as-a-Service (PaaS) to Software-as-a-Service plus the best practices and business models around the use and deployment of virtualization, private clouds, hybrid clouds, and IT-as-a-Service. Distributed Energy and Microgrid (DEM) Planning Framework – The DEM Framework covers the assessment, benchmarking, design, architecture, and optimization steps to build grid independent or grid black star solutions. Virtual Power Plant (VPP) Planning Framework – The VPP Planning Framework covers the assessment, benchmarking, design, architecture, and optimization steps to build integrated distributed edge resources and smart appliances into a utility grid. Smart Cyber Security & Compliance (SCSC) Framework – The SCSC delivers a proven step-by-step methodology to understand, identify, and mitigate cyber security risks by leveraging best practices and industry specific guidance to achieve optimal protection and regulatory compliance, where Enterprise resources for core activities that generate productivity and profitability. Distribution Management System Lifecycle Management (DMSLM) Framework — The DMSLM Framework covers the assessment, benchmarking, design, architecture, and optimization steps for all stages of lifecycle management including pre-implementation, during implementation, and post implementation. The DMSLMF provides key focus to functionality, data model, data quality, architecture, integration, phasing, testing, project management, and change management.